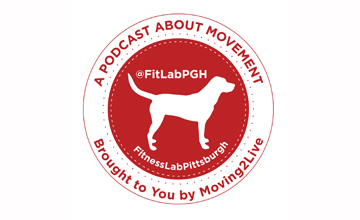 For 3+ months FitLabPGH has been bringing you weekly podcast interviews about events, organizations, businesses and people in the Pittsburgh area that understand movement is part of what makes life complete. A question we are often asked is “what is a podcast?”. The easy answer is that a podcast is like a YouTube video, except it is audio. A better answer is that it is an audio file that you can listen to by streaming it to your phone or computer…or download via a variety of apps (mobile devices) or programs (computers). With most podcasts (FitLabPgh is part of most) you can subscribe to the podcast and be notified when a new episode is release. There are literally 1000’s of podcasts and just about any topic you can imagine. You can search for them via sites such as iTunes, Stitcher and GooglePlay. Podcasts are usually free. They are a way to be entertained and get information while you are doing other things. If you listen to music while you exercise or commute then consider adding podcasts to your listening repertoire. FitLabPGH podcast is a greater podcast to listen to if you are active. It is weekly- a new interview each week, and each episode is ~25-30 minutes. You can check out our latest podcast at www.fitlabpgh.blubrry.com. If you want to subscribe then check out the variety of ways to be notified of a new episode each week- www.fitlabpgh.blubrry.com/subscribe-to-podcast/.